MIAMI, March 5, 2014 /PRNewswire/ -- A polar-vortex winter has been wreaking havoc across the nation. Once the snow melts, the demon will be revealed: winter-related road damage. Potholes. The nemesis of motorists, road crews and municipalities everywhere. Potholes come with the liability of vehicular damage. The liability of putting repair crews on active roadways. The expense of patching potholes. The further expense of re-filling potholes when the first patch fails. The multi-million-dollar pothole peril is continuously documented in great detail at www.pothole.info. The story archive is vast. The perils and liabilities are very real—and very expensive. What if all those potholes could be filled more quickly? Permanently? And at half the price of traditional methods? It can be done—and is happening from Alaska to Australia—with EZ Street cold asphalt. Imagine being able to throw asphalt into a water-filled (or snow-filled) pothole, compacting it and walking away for good—it's guaranteed permanent. 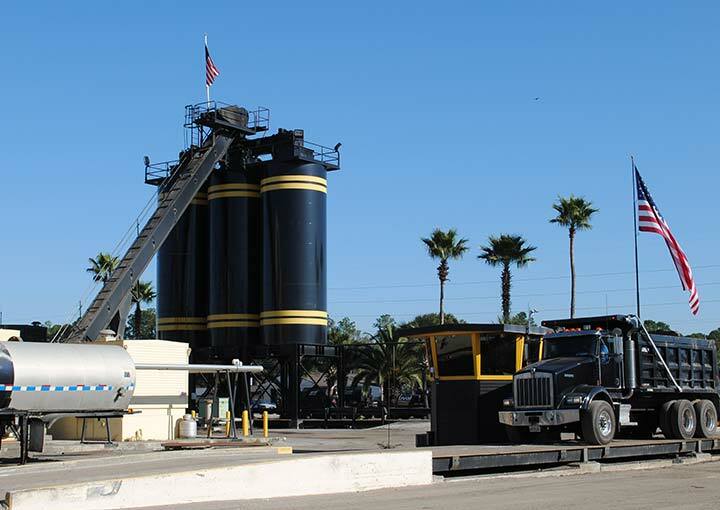 Imagine being able to store fresh asphalt for up to a year, so it's ready to work when the crew is ready—instead of when the hot mix plant is open. Imagine an asphalt that reduces time on the job, creates permanent repairs, is unaffected by extreme cold, and saves big money. In times that are challenged by storms both wintery and economic, EZ Street cold asphalt just makes sense. Do Your Roads Look Like This? 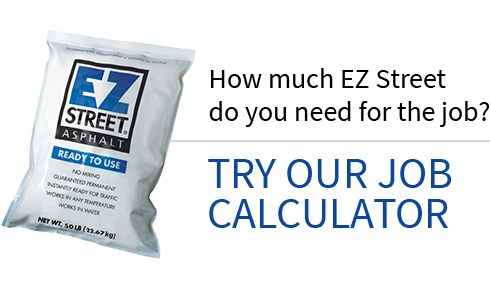 EZ Street cold asphalt is a proven product. It works quickly, permanently, and at less than half the price of traditional asphalt products. Independent studies have proven its economic worth and its technical superiority. A polymer-modified, bituminous asphalt product, EZ Street asphalt has been proving its worth for almost 20 years. And it's been doing so across a wide range of extreme conditions, from the Canadian Yukon to the Australian bush. Because of its advanced polymer formulation, EZ Street cold asphalt avoids the expense and time-critical nature of hot asphalt use. It also outperforms both hot asphalt and competing cold asphalt products. It is guaranteed permanent. It also has a guaranteed shelf life. Buy it, store it, and use it when the time is right. The EZ Street team is exhibiting in Las Vegas this week, March 4-8, at Conexpo, the world's largest construction trade show. The men and women from EZ Street have been at Conexpo before. But this year, with the road damage being faced by repair crews across the country, the need for this revolutionary product is greater than ever. See EZ Street cold asphalt in action in Las Vegas at Conexpo Booth # 90301.